This weekend's Innovation Festival, held in partnership with the USPTO, will showcase inventors and the patent process. Director Arthur Daemmrich takes a deeper look into the role of patents. A mix of motivations drives inventors, including a passion for solving problems they encounter, a joy of tinkering and building, hopes and plans to improve people’s lives, and an innate drive they often find difficult to articulate. In oral histories recorded by the Lemelson Center—which capture inventors’ own perspectives on their lives and careers—we only rarely find getting rich to be an explicit goal. Securing patents, developing licensing strategies, and engaging in patent litigation rank low among their passions. Yet inventors nevertheless feel driven to protect their intellectual property, especially since they are familiar with priority disputes and even outright theft of ideas. 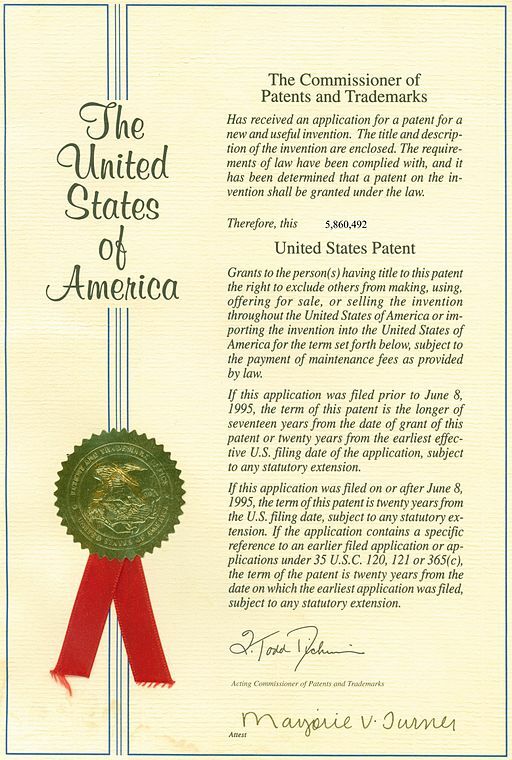 Patents are fundamental to science policy and have a long history in the United States, dating to the Constitution: “Congress shall have power to...promote the progress of science and useful arts, by securing for limited times to authors and inventors the exclusive right to their respective writings and discoveries” (Article 1, Section 8, Clause 8). But patents also embody a contradiction in how we think about innovation as a society. Part of their purpose is to prevent secrecy; the fact that patents are published forces inventors to reveal, illustrate, and historically, to physically demonstrate their innovations (the US Patent and Trademark Office required working patent models until 1880). 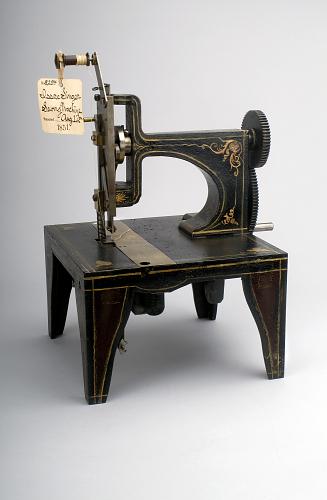 Issac Singer's Sewing Machine Patent Model, 1851. More fundamentally, patents grant monopoly rights under the rationale that financial rewards from the lack of competing products will encourage additional waves of innovation. Patents turn ideas into private property, even though the underlying concepts inevitably rely—at least in part—on publicly available knowledge and materials. A patent-based monopoly limits who can access and use a new technology, which can be priced high (think of new cell phones or new medicines). Since patents expire after 20 years, public gains come from the competition that arises once the patent has expired. In recent years, two broad criticisms have come to the fore in public policy discussions of patent policy. First, there are growing attacks on “patent trolls” and “submarine patents.” The former refers to individuals or organizations that hold or acquire narrow patents—often some small component crucial to a complex technology or technological system—and then extract high license fees from manufacturers. Submarine patents refer to patents that are incomplete or unworkable. Years later, once other advances have made the concept useful, the original patent holder surfaces, looking for royalty payments. Both terms are used to disparage individual independent inventors and to advocate for patent reforms that would make it harder and more expensive to secure intellectual property rights. By Unbiassed (Own work) [Public domain], via Wikimedia Commons. Second, international patent policies embodied by the Agreement on Trade-Related Aspects of Intellectual Property Rights (TRIPS) and advanced by the World Trade Organization since the early 2000s have drawn a backlash against patents. Numerous developing countries have raised ethical and economic arguments, noting that patents on pharmaceuticals and other crucial technologies put products out of the reach of over half of the world’s population. Critics furthermore have noted that firms in IP-dependent industries, notably pharmaceuticals and electronics, regularly find ways to extend patents on existing products and block generic competitors. 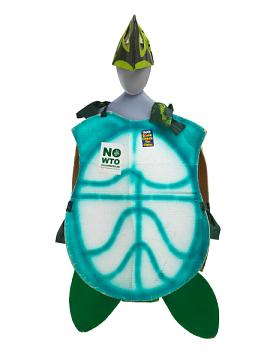 While street protests against the WTO have died down in recent years, the underlying dispute about access to medicines and other technologies remains salient. Corporations are not intrinsically better at generating public benefits from patents than individual inventors. In high-tech areas, including biotechnology, mobile phones, and numerous others, complex patent “thickets” have emerged as firms secured hundreds of patents, including many that are either unworkable or defensive in nature. As a result, companies have to negotiate very complex and expensive cross-licensing deals to get anything done and new startups face considerable difficulty entering many high-technology sectors. In other cases, there are monopolies that arise independent of the patent system. The case this week of the small company Turing raising the price of Daraprim, an off-patent treatment for parasites that afflict patients with cancer or AIDS, by 5,000% reveals that patents are not the only mechanism underpinning high drug prices. Monopolies can arise for many reasons, and corporations are not inherently in the business of providing public goods. While American consumers have been convinced to support pharmaceutical research into future cures as part of today’s purchase of a patented drug, the Daraprim case flies in the face of that logic. With an average of 2,500 patent suits filed annually since 2000 and legal fees running $25,000 for simple cases, an $80 million industry has emerged just to litigate patents. Individual inventors face a power asymmetry in disputes, being forced to undergo lengthy depositions and hire expensive legal representation. Individual patent holders correctly argue that they can do whatever they want with a patent—exploit it through entrepreneurial activity, license it to manufacturers, or hold onto it awaiting a market to develop. The patent does not stop others from pirating the idea; it only gives the patent-holder the right to sue for infringement and defend their patent. Patents are often the one piece of leverage individual inventors have in disputes with corporations. While the patent itself is holding strong, reforms are needed to underscore the public benefits that patents are supposed to provide. My proposal would be to develop a class of low-fee, fast track, public goods patents. These would be of shorter term and with fixed license fees that are determined in advance. Inventors—whether individuals or corporate—could then decide whether to pursue a traditional patent or seek the greater publicity and recognition of the public goods patent. This weekend the Lemelson Center is partnering with the U.S. Patent and Trademark Office to showcase new inventions and the inventors who brought them from concept to workable product. Come to the National Museum of American History on September 26 or 27 to see the future of independent inventing and don’t hesitate to ask the inventors about their views of the importance of patents to fostering innovation in the United States.